Join Us for One Day or Two. In just two weeks “the best polo event in the world,” The Bentley Scottsdale Polo Championships returns to Wells Fargo Private Bank Field at WestWorld of Scottsdale. And this year there are two different days to enjoy. Saturday, November 11th will offer four matches from morning to dusk, including one of the greatest American polo players of all-time with the Aspen Valley Polo Club, our event’s defending champions. Polo will be surrounded by a Barrett-Jackson-led display of horsepower, fashion shows, dog fashion shows, sky divers, DJs, jazz, Shakespeare, opera and unusual culinary combinations. We even have the most celebrated arm wrestler in America who will be hosting the world’s most elegant arm wrestling competition. It’s truly a day out like no other in Arizona. With no Arizona Cardinals game the next day we decided to extend the Polo Party an extra day too, creating the ultimate Sunday Fun Day. November 12th starts with the Scottsdale Maserati Sunday Brunch for the Battle of the Sexes Match in honor of the greatest female polo player of all time Sunny Hale. She passed away earlier this year and are grateful she played in our event two times. The day concludes with fan favorite Wales Polo Team taking on St. Moritz, Switzerland. Two days. In just over two weeks. 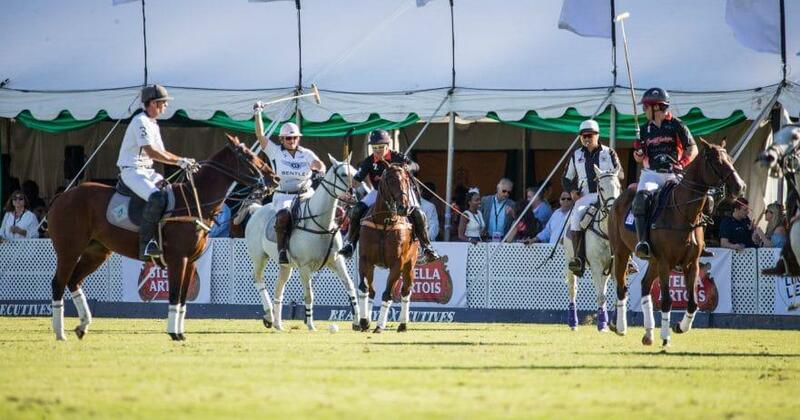 Please check out all of your ticket, tent and table options at ThePoloParty.com. And if you can’t decide which day is better for you, join us for both! See you November 11th and 12th and thank you for all you have done and continue to do to make The Bentley Scottsdale Polo Championships the world’s greatest polo party.